Dreamstyle Remodeling is a leading home improvement company with a proven track record of delivering projects on time and on budget. 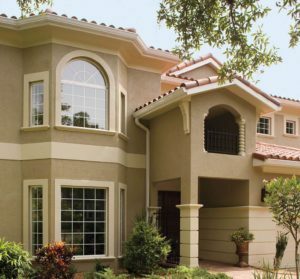 Since our founding in 1989, we have installed more than 107,000 windows and doors for homeowners across the western U.S. We only install products that we would want in our own homes, and we pride ourselves on offering exceptional, brand-name products that will continue to perform year after year. That’s why we are proud to partner with Pella, a highly regarded name in windows, to bring you an exclusive window and door replacement solution. Pella windows offer innovative features and are available in numerous styles as well as special shapes and custom sizes. Pella doors are equipped with performance features that protect your home, and there are a wide array of options for hardware, glass, colors, and decorative elements. Pella windows and doors are also incredibly energy efficient, a benefit which will likely be apparent on your monthly energy bills. What’s more, when you partner with Dreamstyle Remodeling to have Pella windows and doors installed, you can be sure that we will provide a stress-free home improvement experience from beginning to end. Your window or door installation will start with an initial consultation from a knowledgeable and helpful representative, which will be followed by skilled installation from our experts. Once completed, your project will be backed by a lifetime warranty. If you’re ready to learn more about having Dreamstyle Remodeling install Pella windows or doors at your home, contact us for a free, no-pressure, in-home consultation. We will schedule it whenever is most convenient for you, and are happy to answer any questions you might have. © 2019 Dreamstyle Windows | All rights reserved.